The U.S. solar market is looking bright according to the 2011 U.S. Solar Market Insight Report. The report found that growth in U.S. solar capacity more than doubled from 2010 to 2011, with New Jersey accounting for 17% of installations in 2011 (second only to California!). One reason for New Jersey’s large solar industry is the state’s robust market for Solar Renewable Energy Credits (SRECs). So, what exactly is an SREC? On the most basic level, an SREC is a record of the amount of solar energy produced by a particular solar photovoltaic (PV) system. One Solar Renewable Energy Certificate, or SREC, is “earned” for each megawatt of solar electricity that is produced. These certificates are credited to the system’s owner through an online account and similar to the stock market, SRECs can be bought and sold. For example, let’s say a homeowner installs a solar energy system on their roof. Once the system is active and begins to produce electricity, it is assigned an online SREC account. For each 1,000 kilowatt-hours of electricity that the system produces, one SREC is earned and credited to the owner’s account. Given that SRECs are traded on an open market, their value fluctuates depending on supply and demand. Recently, SRECs have been valued between $100-$200[R1] . In addition to recording solar electricity production, SRECs act as an important financial incentive for solar technology development. Because solar electricity is more expensive than traditional sources of electricity (e.g., coal, nuclear, natural gas), incentives are needed to encourage the development and production of solar technology. 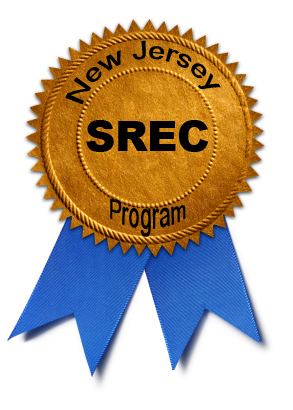 In New Jersey, the market for SRECs is controlled by New Jersey’s Clean Energy Program. Each year, the NJ Clean Energy Program establishes a Renewable Portfolio Standard, or RPS, that requires electricity suppliers in the state to obtain a minimum percentage of their electricity supply from solar energy. Because many energy companies do not produce their own solar energy, they often purchase SRECs from other companies or homeowners to fulfill their requirement. To summarize, by selling SRECs to electricity suppliers, owners of solar PV systems can recover a significant portion of the money they spend on installing solar PV systems. SEIA/GTM Research. 2012 U.S. Solar Market Insight Report: “2011 Year-in-Review.” http://www.seia.org/.